What should you eat? And why does it matter? Have you ever wondered what to eat to be healthy? Or why it really matters? Or how to make that work for your family, in the midst of busy lives and full schedules? Join us Saturday, Feb. 3rd 5:30pm for a screening of the film “In Defense of Food” and a conversation with a panel of professionals from the health, wellness, and food industry, all available to answer your questions about your food, where it comes from, and the link between your food and the health of your family, our environment, and our local food economy. You’ll learn how you can make small changes that have big impact – and why it really matters. In Defense of Food presents a view of how we have developed an unhealthy perspective on food and have chronic health issues to show for it. Our children are suffering, as the age of being diagnosed with type 2 diabetes is decreasing. If you care about your health and the health of those you love, spend an evening listening and learning some of the science behind this. Education is the first step. Action is needed if change is to occur. Together we can create healthy communities! 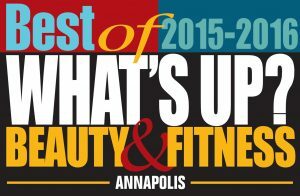 At Dauntless Fitness & Health, 836 Ritchie Highway Suite #14, Severna Park. Saturday, Feb. 3rd, 5:30pm. Refreshments served. Suggested donation $10/family.